Did I say Sixth 9000? More like seventh!. 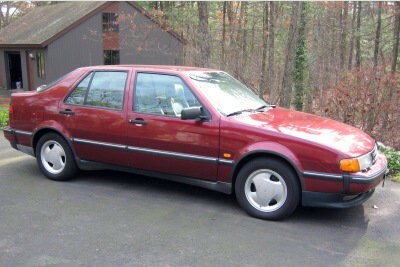 The first was a black 1987 9000t which we passed on to a starving student when it only had 225,000 miles on it. It's still cruising around Arizona last we heard. 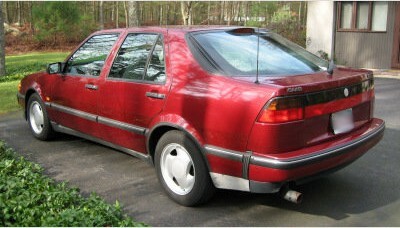 The second was a silver 1987 9000s that had been through several students before it came to us. It was pretty rough and has now donated many parts to "Brown Sugar" the 1988 Turbo. Now, another 9000 has come to us. 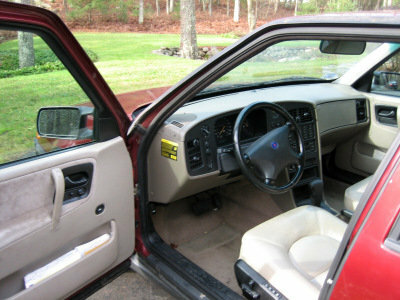 Say goodbye *sniff* to "Q" and say hello to our "new" 1996 9000 CS! She needs a little this and that [brakes, perhaps a muffer, a name], but otherwise, a lovely, well maintained SAAB! Happy 200-thousandth mile day to "Q"
Happy 200-thousandth mile day dear "Q"
Before: Summer of 2001 - Our resurrected 2-tone 1988 9000T! Yahoo! 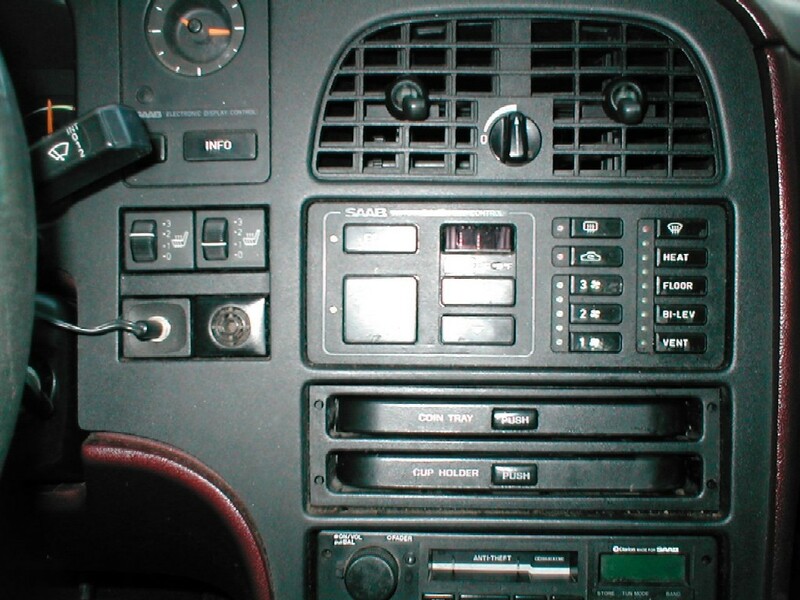 Our 1993 9000CS answering the age old question: "How do I get my Sonett nose home?" On the roof of your 1993 9000 CS, how else? 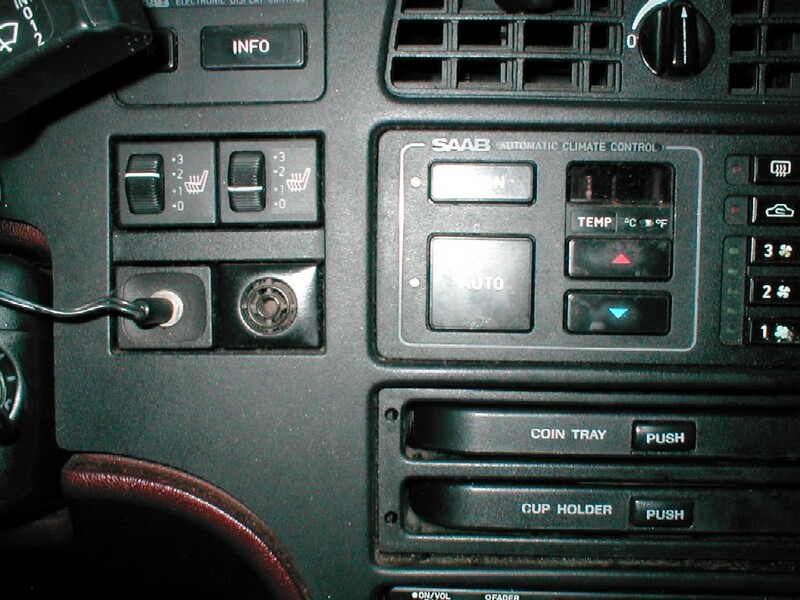 No cupholder in your 9000? Steal one from a Ford Taurus SHO! Margus Hõim has gathered specs for several Euro cars, including the the 9000.